Have you upgraded your uTorrent Client?Be sure to get the lastest uTorrent 3.0, a less than 1mb setup, install so fast and got the cool interface. I like this version because it’s totally light-running quitely in my PC background .It doesn’t affect either my internet connection speed or having interference with other online apps.The download health stats meter is new and so, far I’ve got the smoothest download with uTorrent 3.0. 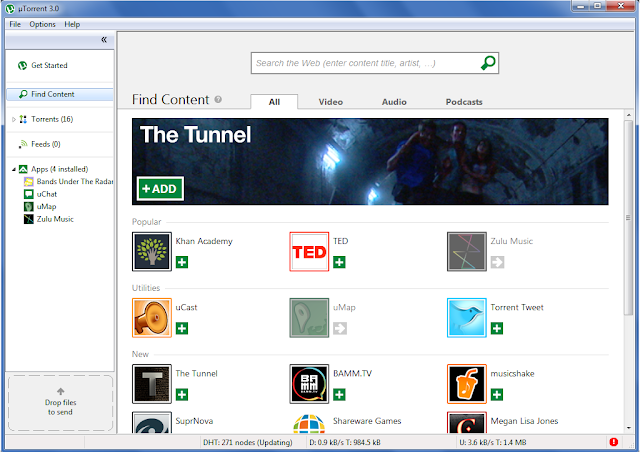 Get your free uTorrent 3.0 Client Setup here.